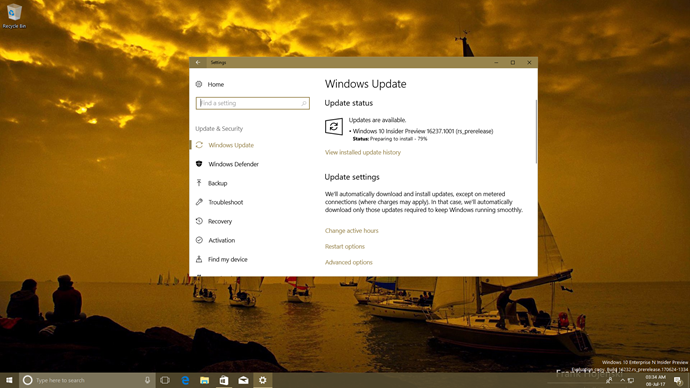 After the last Windows Insiders Preview build 16232, which was released on 28th June, Microsoft came up with a new build 16237 for the insiders. If you are in the fast ring, enjoy your weekend exploring the new improvements part of it. 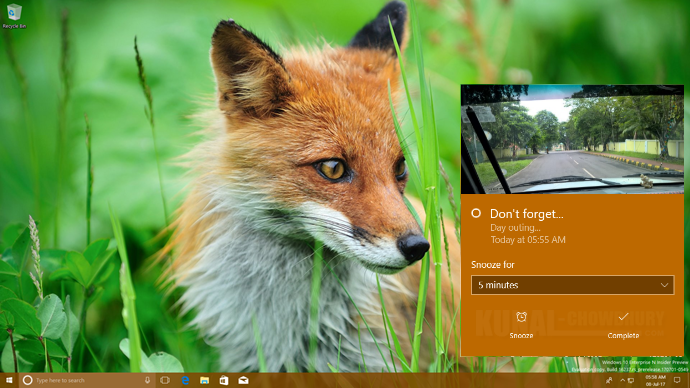 This new build mainly focuses improvements to Microsoft Edge, Windows Shell including the Action Center, Emoji Panel, handwriting panel and many more. Read aloud feature is coming to Microsoft Edge, which will allow you to read aloud the text for all websites and PDF documents opened through Edge. This will also include word and line highlighting. If you click Share in Microsoft Edge, the Share UI will now match the Microsoft Edge theme if it is different from the rest of the system. Share UI will also now launch under the Share button, rather than in the center of Microsoft Edge. Fixed an issue where copying double byte characters out of Microsoft Edge and pasting into another app wouldn’t show the characters correctly in the second app. Fixed a Microsoft Edge issue from the previous flight where opening links in a new tab might cause a new window to open with the link instead. Fixed an issue from recent flights where the Print dialog in Microsoft Edge would show a blank preview page and lead to printing a blank page. Fixed an issue resulting in the Microsoft Edge context menu not showing up on pen barrel button tap. Fixed an issue when returning to Edge after a crash. Your tabs will be automatically restored for you. Prior to this build, you had to log out from the system to resolve the blurred desktop apps issue. Microsoft has fixed this in build 16237 and now you don't have to log out. Just relaunching the app will fix this issue now. In this build, Microsoft has changed the way Windows provides DPI related information to the desktop applications. Adjustments have been made to notification buttons to span across the bottom of the notification, rather than being right-justified. It will be now easier for you to take action on your notifications by auto-expanding the first notification in each notification group in the Action Center. In response to the feedback Microsoft received about the X to “dismiss” notifications, they have now adjusted it to be an arrow to make it more clear that the notification is actually being pushed to the Action Center to be reviewed later. Fixed an issue from recent flights where if you received 20 notifications from a specific app, then received more, ShellExperienceHost would start crashing repeatedly in the background. Fixed a recent issue where tapping on the chevron of an expanded notification in the Action Center wouldn’t collapse the notification. Fixed an issue from recent flights where opening the Action Center might not clear the badge on the Action Center icon, leading one to later believe there were new notifications when there weren’t any. Fixed an issue where Notifications and Actions Settings might have unexpectedly had a number of unnamed apps listed at the top in recent flights. Fixed an issue where Windows Defender notifications might include unparsed parameters. My People improvements includes notification badges for people pinned to the taskbar, which will now be consistent with the color of your theme if you’ve opted into showing color in Start, Action Center and other places on the system. When you receive emoji from people pinned to the taskbar, it will now refer to this as a "pop". Type to search with the new Emoji Panel now supports emoji 5.0! If you hover your mouse over any of the emoji in the Emoji Panel, you’ll now see a handy showing you the exact Unicode character name. Microsoft also added tooltips to the categories so they’re no longer a mystery. Fixed an issue for our dark theme lovers where the X to close out the Emoji Panel was black on black. Fixed an issue where the touch keyboard was passing the wrong window size information when shapewriting with the one-handed keyboard. As you type with the touch keyboard, you will now hear a sound with each key press. Fixed some issues in learning your typing style, so you should find text predictions improved. Improved the reliability of the Japanese one-handed 10-key Kana touch keyboard. Fixed an issue from recent flights where the touch keyboard and handwriting panel would unexpectedly appear sometimes. Fixed an issue where the text candidates would appear using unexpectedly small font. Fixed an issue where only the one-handed keyboard was available on PCs with small screens. Fixed an issue where if the text in the handwriting panel shifted while you were inking, it could result in an unintentional ink stroke across the panel. Fixed an issue where a word might be inserted twice if you dismissed the panel by changing focus to somewhere else on the screen. PC Gaming Improvement includes updated the Game Mode icon on the Game bar. Microsoft has now made a few small changes in this build to the GPU performance tracker in Task Manager. It now includes more details like DirectX version and the physical location of your GPU. Only hardware GPUs show up in the list, and the software-only basic display adapter is hidden. You will now see a new "virtual machine gallery" under quick create in Hyper-V Manager. Though the gallery is not yet includes anything, but includes an option to choose local installation source. Fixed an issue from the last flight where doing a PC reset via Settings > Update & security > Recovery and choosing "Remove everything" might put your device into a reboot loop. It is now safe to use this option again. Fixed an issue from recent flights resulting in the Photos, Groove Music, and certain other app’s live tiles not working. Fixed a high hitting crash impacting Start and Cortana in recent flights. Fixed a recent issue where you’d find two Connect apps in Start. There exists some more fixes in this build, which you can read from the original release notes. DON'T FORGET to checkout the "Known Issues" currently present in this build, before going to download and upgrade your system. Though there are no major known issues, but it's still advisable to check the list. If you have come this far, it means that you liked what you are reading (Windows 10 preview build 16237 is now available, here's what's new).